Our next club meeting will be on Friday, September 12th at 7pm, and we will again meet at the Rochester Community Room. 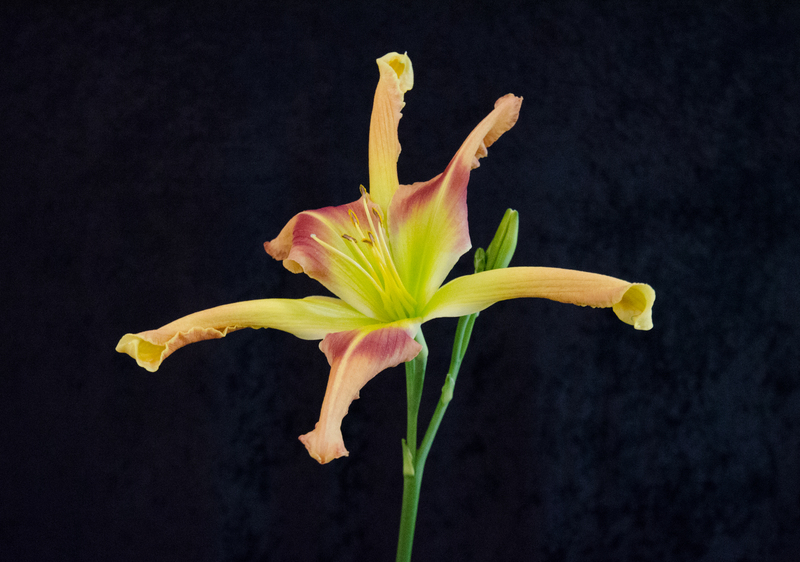 We will have a business meeting, followed by a presentation on Sculpted Daylilies. Photos from the 2013 AHS Photography Contest will be displayed during our break/social time. If you have any items to add to the agenda, feel free to add a comment below or contact Jacob (br4un3r@gmail.com). CIDS will hold our annual Plant Sale on Saturday, August 2nd, at the Washington Park Botanical Garden Exhibition Room. Doors will open at 12:00pm. We invite the general public to attend. 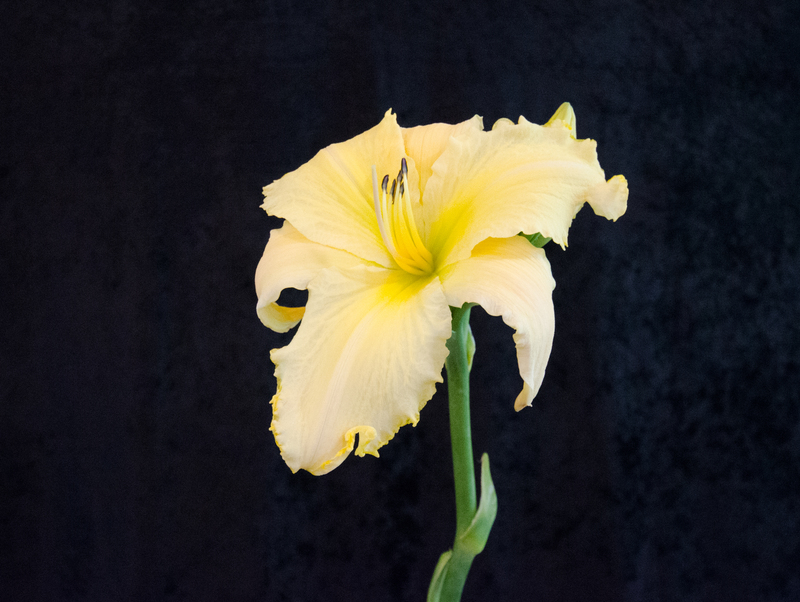 The purpose of this event is to provide an opportunity for the general public to learn more about daylilies as well has provide opportunities for all to expand their garden with new or additional varieties. 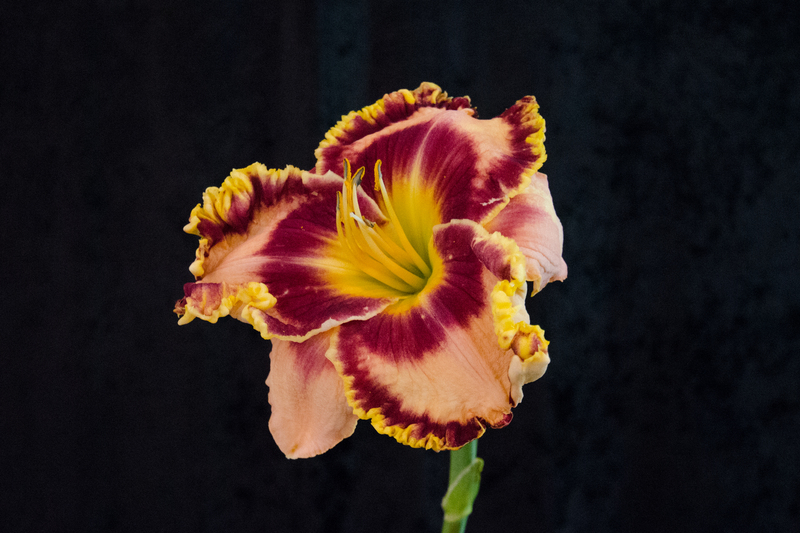 At the sale, CIDS will have tables filled with a variety of daylilies for sale, all at very reasonable prices. They will be sold bare-root, meaning that they will not be potted. 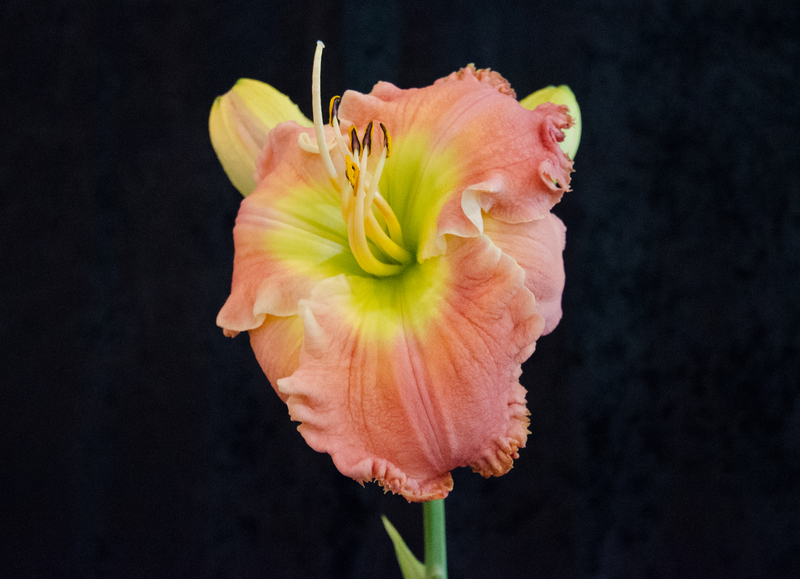 The sale will also include a number of vendors, who are members of the club that have specialty daylilies or related products to sell. I am sending this to all of you who are requesting vendor tables at the sale next Saturday and/or helping at the CIDS table. So far, CIDS table helpers are Deb (chair), Jacinto’s, Jim, Paula, Rich. Children’s area are Sharon, Nancy, Dave. (everything for children’s will be provided, except I may need another trowel). Nikki will provide seedlings. We will be able to get into the exhibition hall at 9:30 am. Tables will be set up, and your name will be on yours. However, you will need to put your table away at the end of the sale. Please bring a sack lunch, drinks, and your tablecloth if you want one. Those who are helping with the sale will be able to buy between 11:30 and 12:00. Remember, you cannot have a vendor hold plants for you before 11:30. Any questions, please respond to this email. Wishing for a fantastic sale for the club. 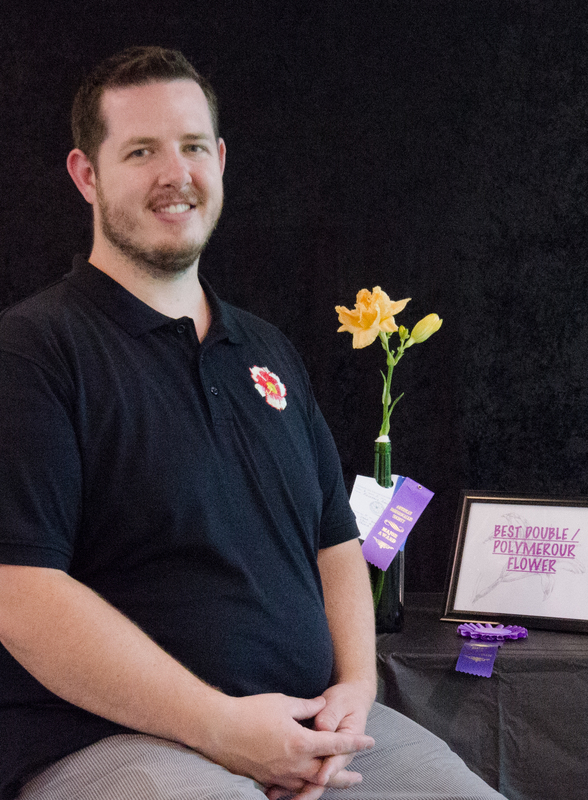 If you’ve been following the posts on this site, you already know that our little club planned to host an AHS-accredited Exhibition Show on July 6th, 2014, and we pulled it off! With the help of many, CIDS hosted their first show in a handful of years, and it was a success. 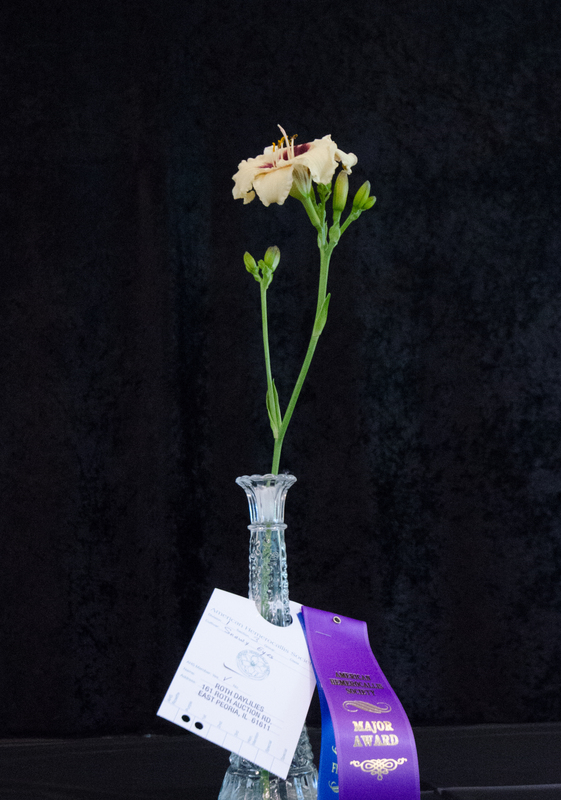 After a rushed morning of setup, grooming, classification, and placement, we waited while the judges studied each bloom to find the diamonds among the jewels. After they were finished, we opened the doors to a waiting crowd, and the results were unveiled. It was a whirl-wind day for all of the first-time participants, but it went off without a hitch. Our venue was booked all weekend long, so we were only able to get in to setup the room first thing in the morning. The staff at the venue (Thank you, Steve!) even showed up early to open the doors for the setup crew to get tables up and arranged throughout the space. 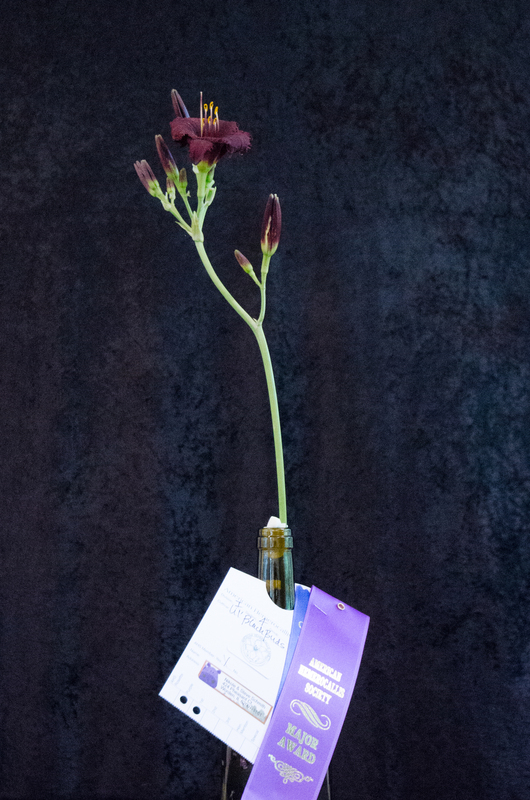 The crew then turned to the kitchen to fill the wine bottles – which were used as vases – with a bit of water in preparation for the entries that would soon fill them. Each flower was carefully transported, and, after a bit of grooming, they were each identified and submitted to classification. 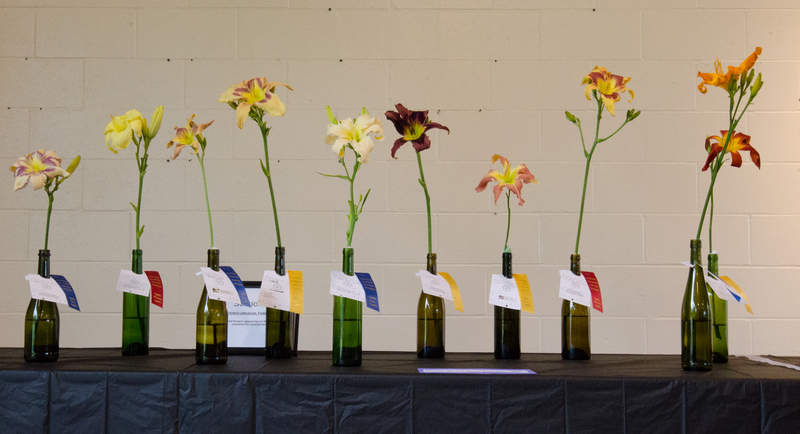 This process determines which section each flower will be placed into for judging. There are 10 sections and two special awards sections in each show. 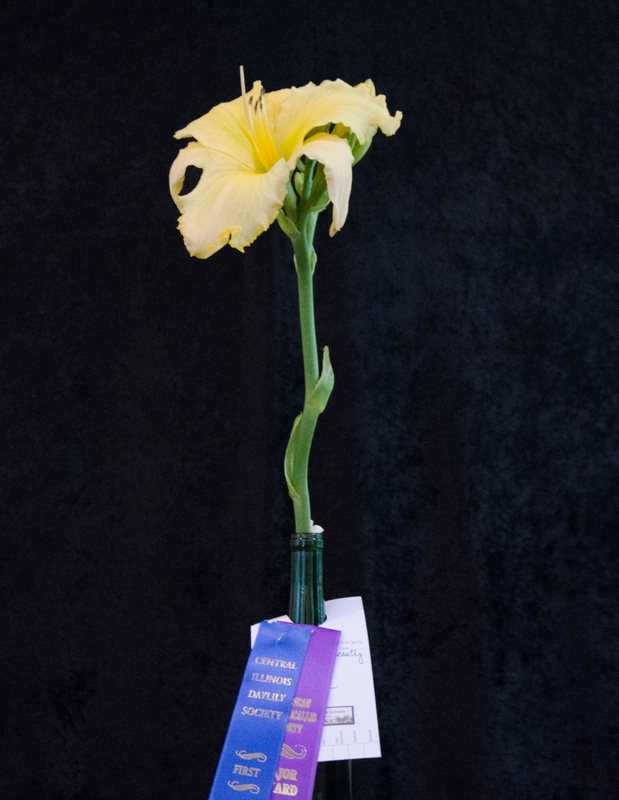 The 148 submitted blooms filled all but one section, and we were thrilled to have so many on display. The judges are taken into the room with the entries, accompanied by clerks who assist with the handling of pants, placing of ribbons, and answering questions that the judges may have. The classification team is also on-hand to look up any registrations for which the judges need clarification or further information. 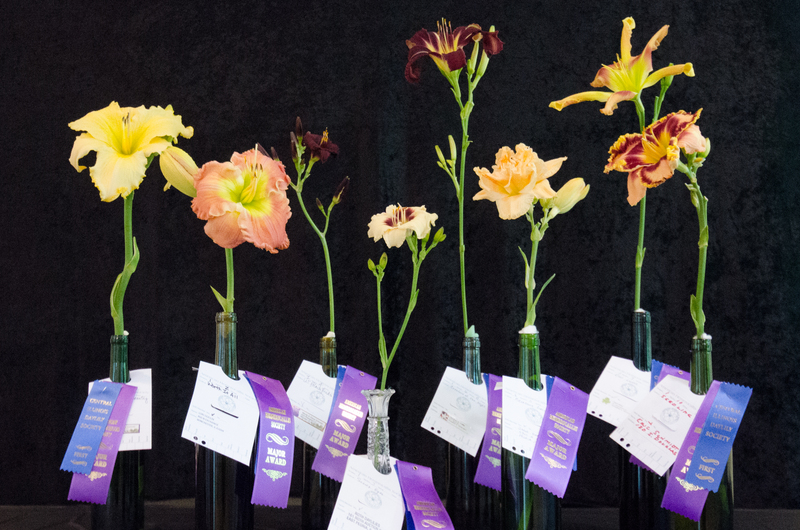 The judging can take quite a while, as each flower is judged on it’s own merit before being compared to others in it’s section for the final awards. Eventually, one winner from each section was selected and moved to the head table. 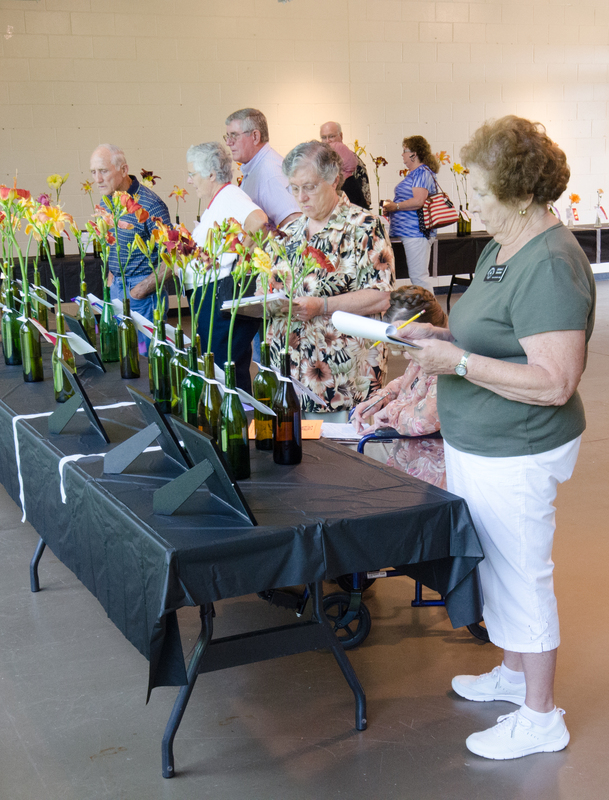 Once on the head table, the judges once again evaluate each section winner to find the bloom that will be awarded Best In Show. 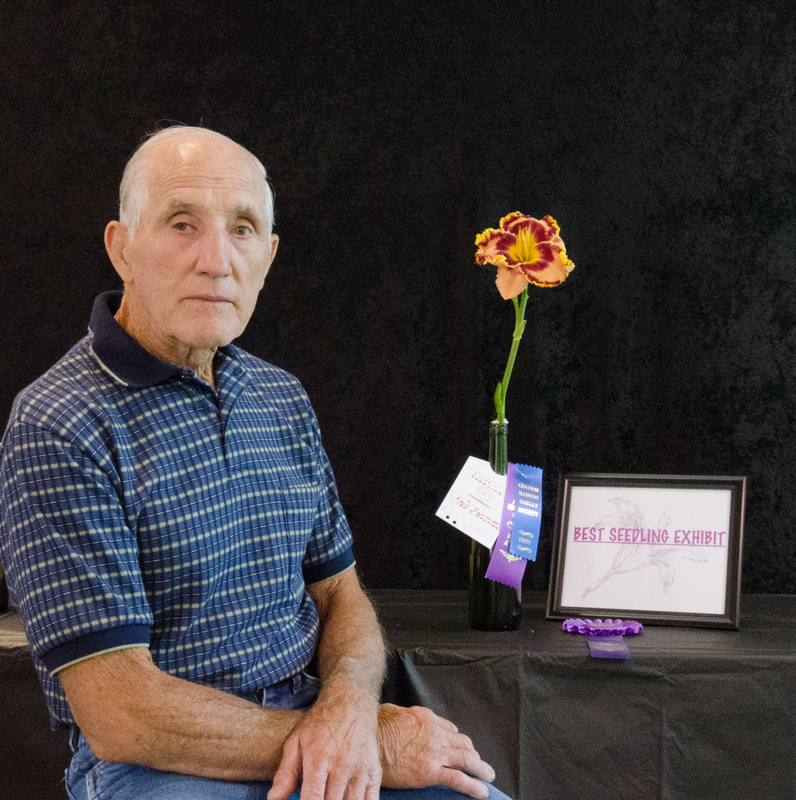 While the judges were doing their part, our club had a table full of off-scape blooms on display for our guests to view in the lobby. 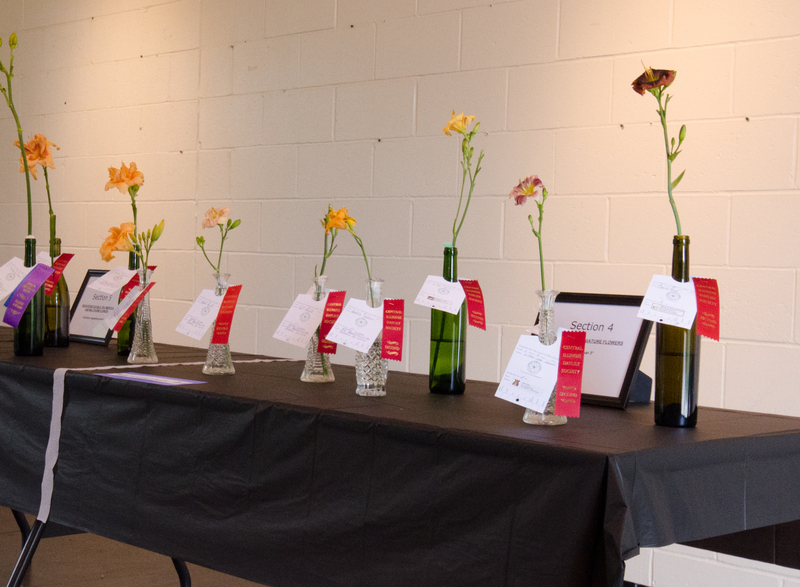 These were not judged by the AHS judges, but instead were up for judging by the visitors to our show. 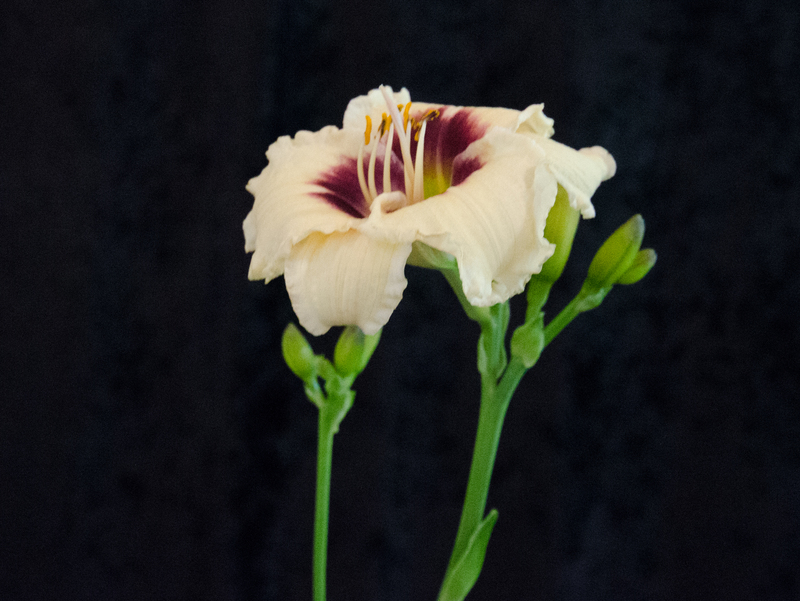 We allowed each guest to vote for their favorite off-scape bloom, which led to a winner of this popularity contest. After the judges have finished, they submit ballots to the tabulation team to be counted and summarized. 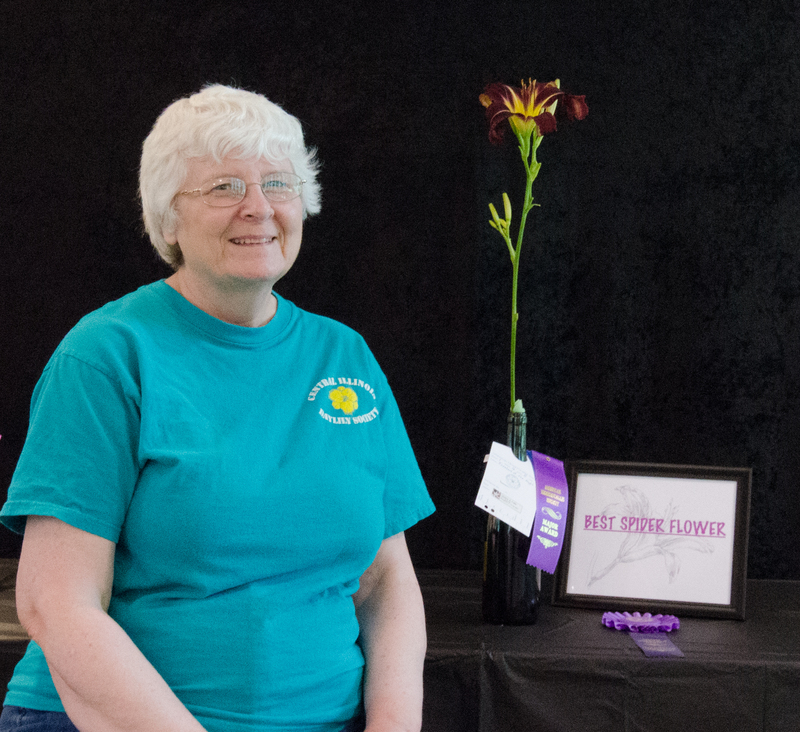 The tabulation team uses these ballots to find out which bloom is to be awarded Best In Show. Other awards, such as Achievement Award and Sweepstakes, were also tabulated at this time. 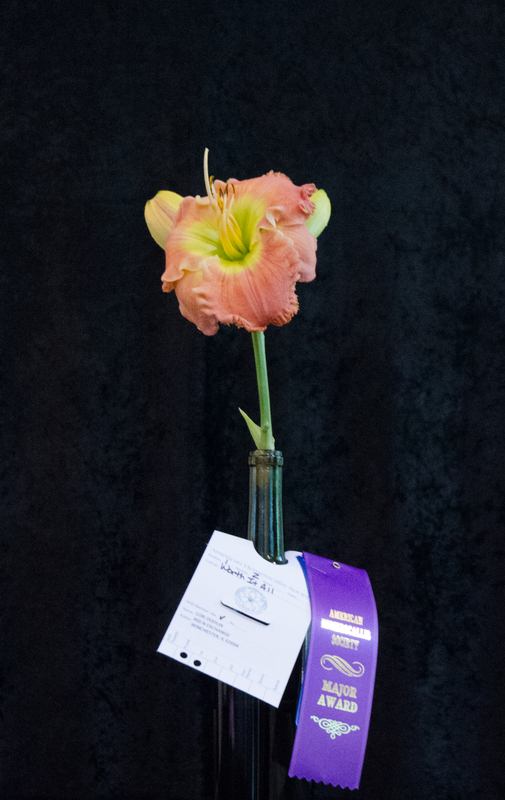 At our show, we were able to quickly determine the Best In Show winning bloom, as well as the Sweepstakes winner for the show. 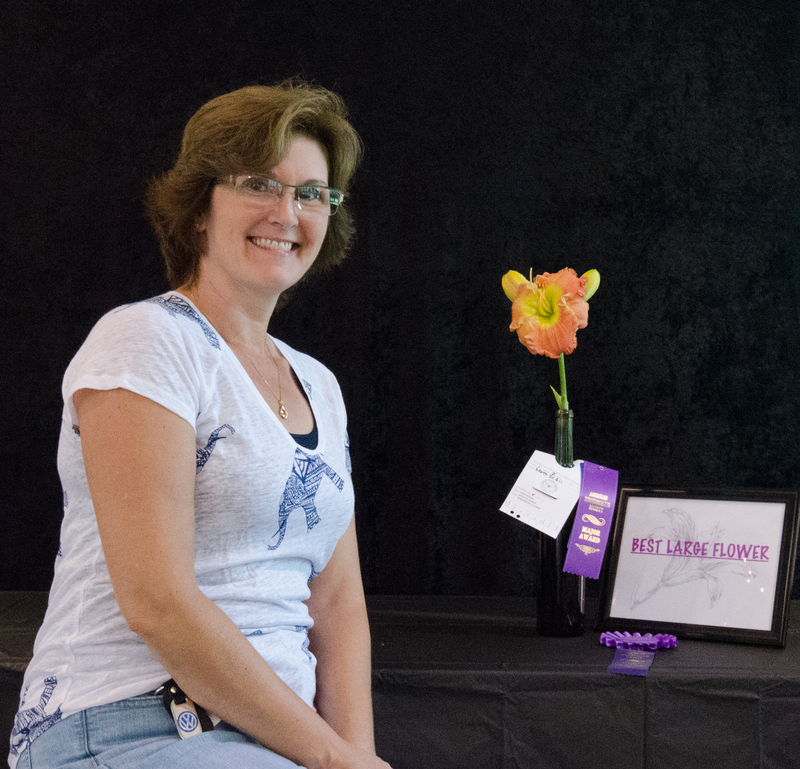 We placed these awards and then opened the show to the public, while the judges took a quick break before evaluating the submissions for Ophelia Taylor and Achievement Award. Once they completed this judging, the tabulations team reviewed the final ballots to determine whether or not awards would be given in these sections. 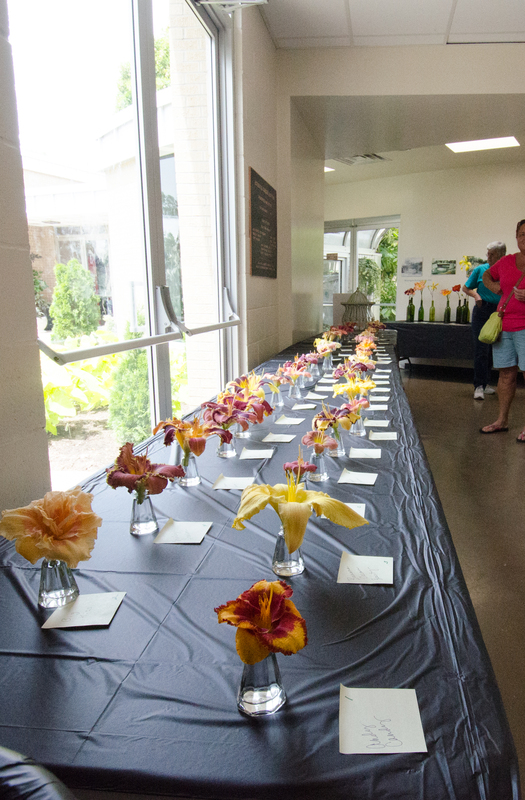 After the doors opened, a large group of guests eagerly filed in to view all of the different blooms on display. Many Ooos and Aaahs could be heard throughout the room. Members of CIDS mingled with the other guests to help explain the various parts of the show and answered other questions from the guests. Here are the final results, by section, with the final awards at the end. 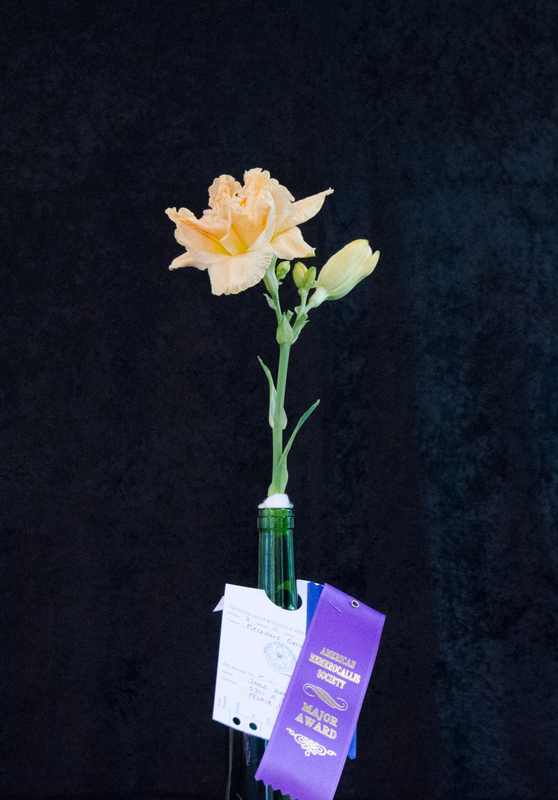 Section 8 – Youth Exhibits, Registered Flowers, entered by Youth: No entries were submitted. 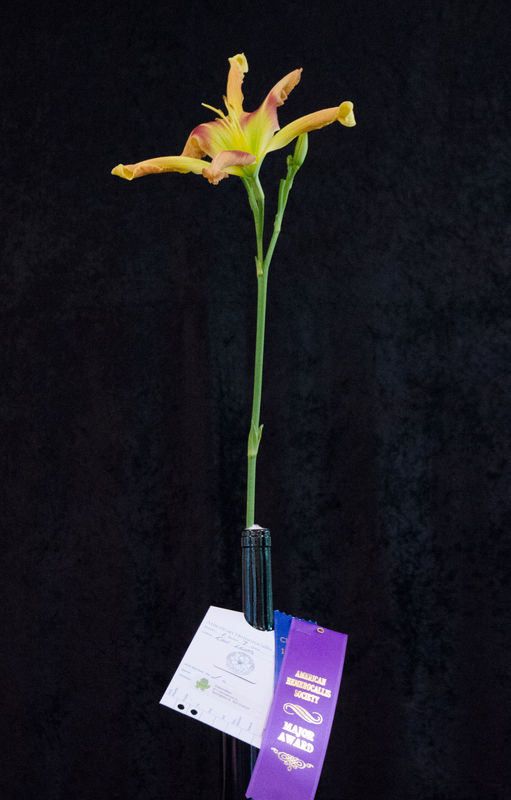 Section 9 – Regional Popularity Poll Flowers – as listed in regional publications: One entry was submitted, but did not qualify for the award. AHS Achievement Medal: One entry was submitted, but did not qualify for the award. 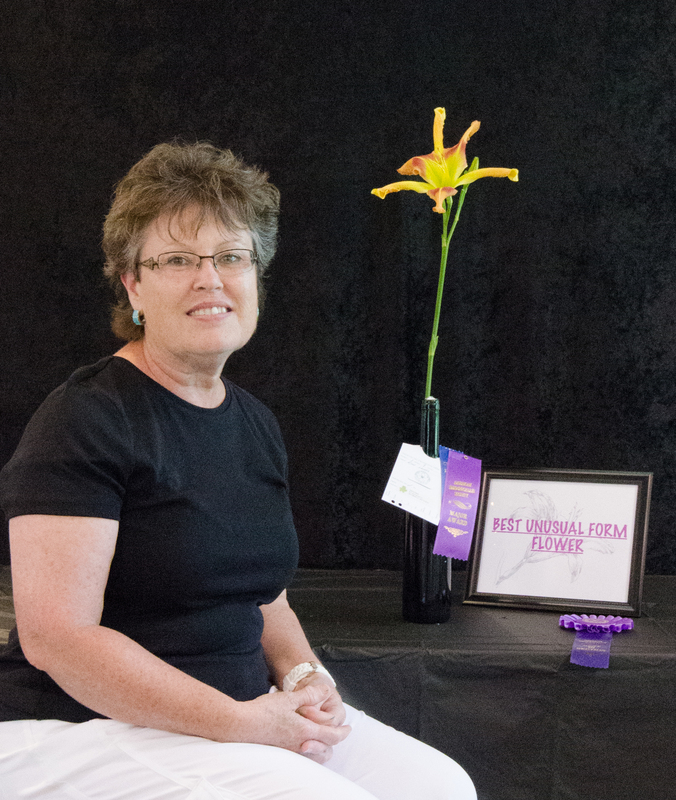 Ophelia Taylor Horticulture Award: One entry was submitted, but did not qualify for the award. A big thank you from CIDS to all who participated in any way! 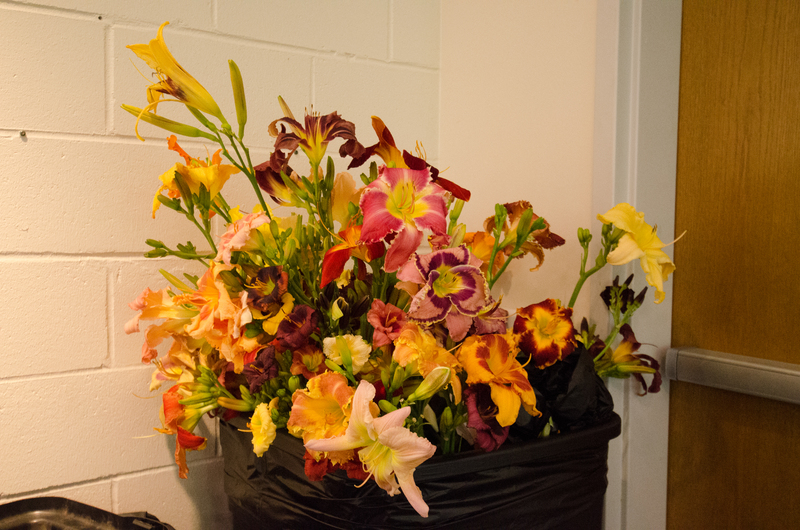 In the end, the blooms were collected and placed in a can for compost. This beautiful bouquet was heading to the heap! 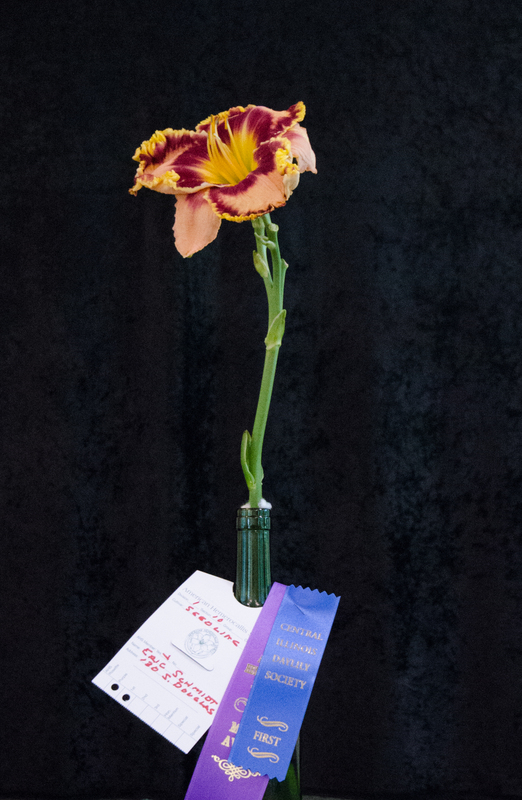 There are only 5 days left before CIDS 2014 Daylily Exhibition Show, the only accredited show in Illinois in 2014! 2) An article was published in the Region 2 Newsletter back in 2007 that gives insight into WINNING BIG! 3) The Official Show Schedule is also available, which has the rest of the details for the July 6th event. Now is the time to start looking through your garden, pre-selecting the best candidates and forming your plan to take home PURPLE! 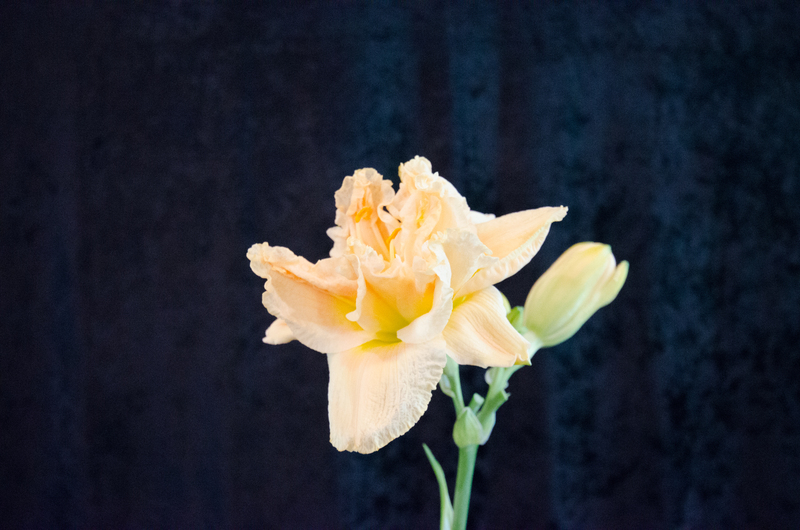 On Saturday, July 12th, there will be a caravan-style garden tour of a few daylily gardens. Below are the details, as provided by JoAnn Satterfield, who is also leading the event. If you plan to join us for this tour, please contact JoAnn (info provided below). This the schedule of the Members’ Garden Tour. It will be on Saturday, July 12th. Our first stop will be Carol Riehl’s Garden, 1621 N. 13th Street, Springfield. 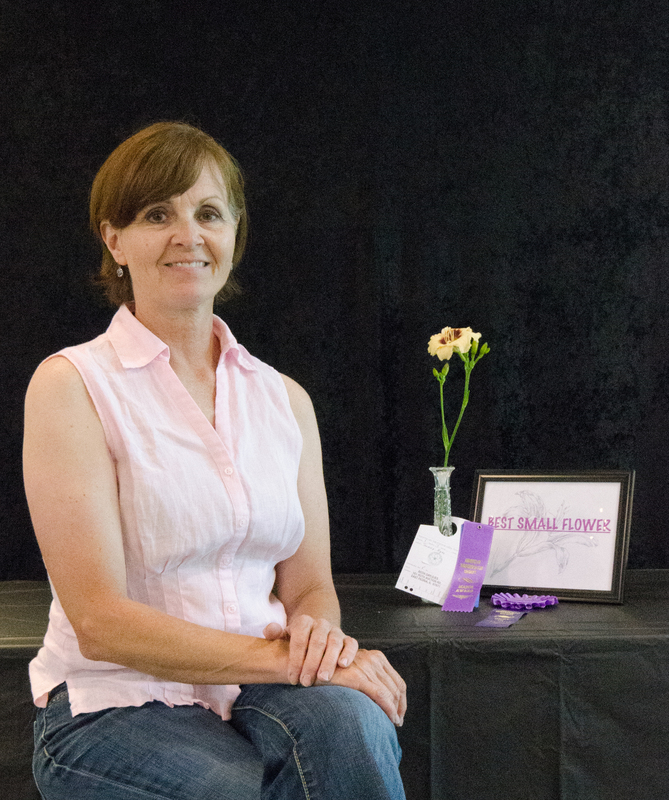 We will meet at her house at 7:30 a.m.
Our next garden will be Nikki Schmith’s at 424 Pheasant Ct., Worden, IL. Nickki’s phone number is 248-739-9006. Nikki indicates she has 500 daylilies and some will be for sale. 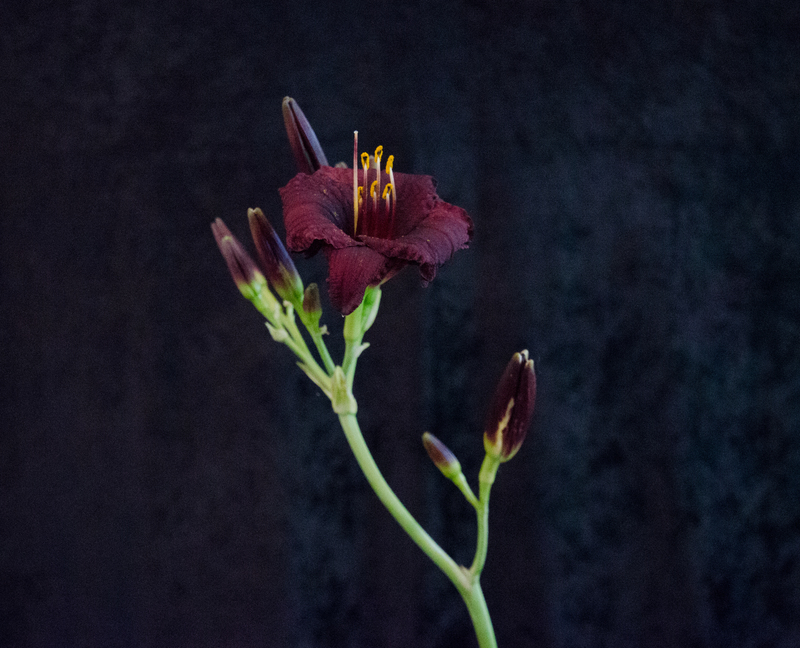 Our third and final stop will be Rosewood Farm Daylilies. 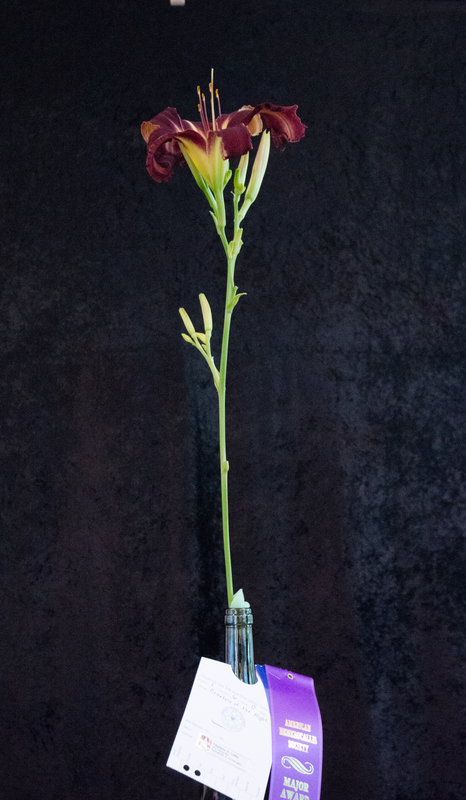 Mike and Kathy Slater have about 400 daylilies. Their address is 241 Prarietown Road, Dorsey, IL. Phone number 618-585-4677. 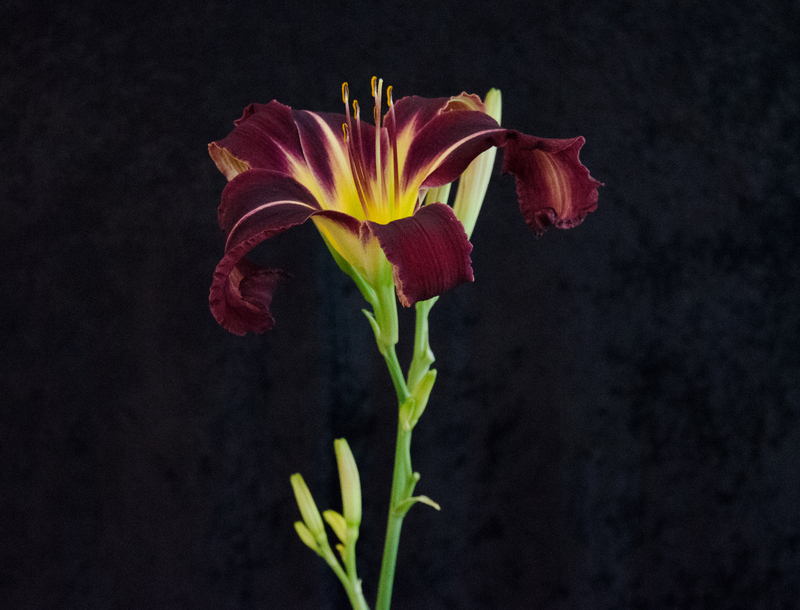 Mike and Kathy will also have daylilies for sale. Both Nikki and Kathy are having open gardens on July 12th. It’s 100% official: CIDS will be hosting an AHS-acreditted Show/Exhibition this year! After a fews years away from shows, CIDS will host once again on Sunday, July 6th. 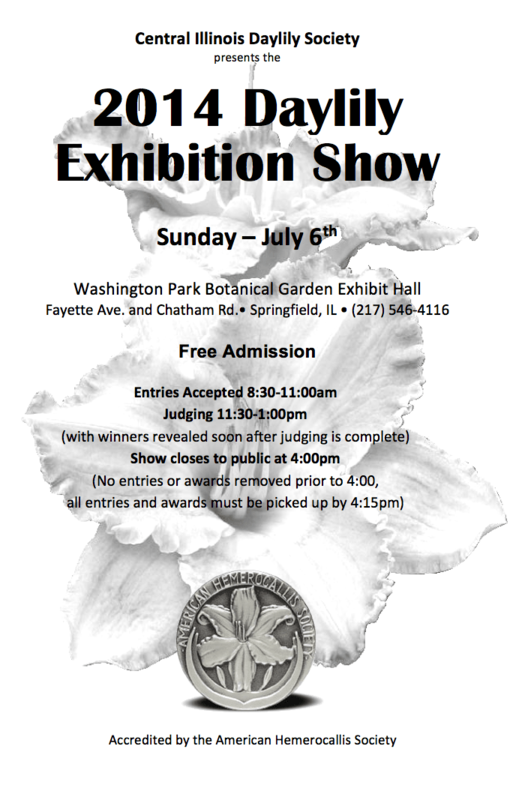 The show will be held at Washington Park Botanical Garden in their Exhibition Room. Entries will be only be accepted between 8:30 – 11:00am. 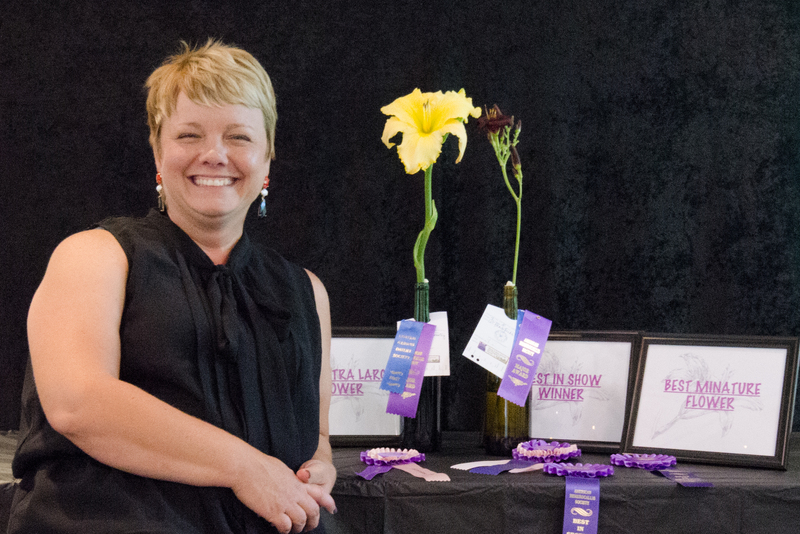 Judging will take place between 11:30am – 1:00pm. The show is open to the public from 1:00 – 4:00pm. The general public is invited to come and view the show entries after judging. Scoring and awards will also be announced during this time. Jim Cruise is still accepting volunteers to help work at the show. Please contact him if you would like to help. If you are planning to help setup for the show, please arrive no later than 8:00am.